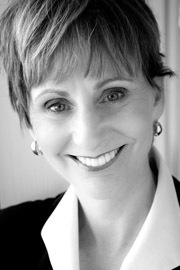 Dr. Margaret Harrell Wills grew up in Phoenix, Arizona. She received her undergraduate degree from John Brown University, a master�s degree from Arizona State University, and a doctoral degree in higher education with a teaching field of history from the University of Arkansas. She was on the faculty at the University of Arkansas in Fort Smith, Arkansas, and taught American History. Dr. Wills is also a graduate of Chuck Colson�s Centurion Program for Worldview Leadership, an intensive and demanding education program that prepares Christians to articulate and live out their faith with authenticity and to lead effectively in the marketplace of ideas. A writer and a poet, Dr. Wills is dedicated to the ministry of encouragement and helping people experience hope, wisdom, and faith in their spiritual journey. She has written for a number of publications, including The Journal of the Fort Smith Historical Society and Issues and Inquiry in College Learning and Teaching. She previously served on the board of the Arkansas Community Foundation as an appointee of Governor Mike Huckabee. She has been a guest lecturer in the Leadership and Ethics Program at John Brown University and has spoken on the topic of "Leaving a Character Legacy." Dr. Wills makes her home in the foothills of the Ozark Mountains in Fort Smith, Arkansas, with her husband, Paul. "Wills' book touched my heart! The diverse themes with the ever-prevailing golden thread of God's consistent and unconditional love are the message we are pursuing when in need of encouragement. This is a book that you will go back to from time to time for words that resonate with your life challenge of the moment."